Risk management products developed by legal software house Lexsure are figuring in on numerous professional indemnity renewal forms for 2014-2015, according to the technology company. 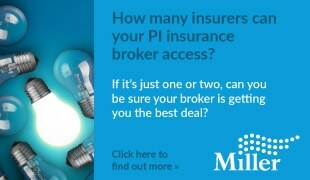 With a number of insurers and their preferred brokers, the risk management systems are actively promoted and incented. “One ‘A’-rated insurer has gone as far as offering a financial incentive to law firms that use Lexsure’s COMPLETIONmonitor to mitigate conveyancing risk,” said Simon Seaton, chief executive officer of the London-based software company. The LENDERmonitor software provides conveyancers and solicitors with regular updates on all changes to lender policies. Andrew Nickels of Zurich Professional, calls the product “a superb risk management initiative and a great tool for all conveyancers that makes checking changes to standing instructions effortless.” More than 6,000 lawyers receive free, real-time alerts on all changes to lender Part 2 policies or search a comprehensive Lender Policy Database for changes to policies. The firm’s CLIENTCAREmonitor product is a comprehensive and cost-effective online compliance management platform developed specifically to help law firms meet their compliance requirements based on the new SRA regime. Simon Gale, director of St Giles Legal and Professional Risks and a solicitor with many years in private practice himself, last year told Legal Futures that the introduction of OFR and the new SRA handbook left the legal industry in a rather confused state. While Gale didn’t expect use of CLIENTCAREmonitor would immediately reduce PI premiums, “in time, qualifying insurers will seek to learn the SRA’s risk rating before underwriting a firm’s risk.” When that happens, insurers are likely to do the same thing before they agree to provide indemnity cover, he said. Now, for the first time, law firms can evidence their lower risk profile for conveyancing transactions by using Lexsure’s COMPLETIONmonitor, an online checklist, tailor-made for conveyancers to reduce and eliminate errors and omissions. While the software has previously been recognised as a valuable risk mitigation tool, now AmTrust have now taken an innovative step and will reward firms that reduce their risk profile by using COMPLETIONmonitor in the conveyancing process. Firms who insure with AmTrust can expect a per-case savings on their PI renewals for each case completed with the software. Even for small firms with active conveyancing practices, this will probably result in a saving of thousands of pounds.